Meng Wanzhou, a top executive of Huawei Technologies Co. Ltd., has had a brush with potentially violating U.S. sanctions before — one of the speculated reasons for her arrest Saturday in Canada. Although it remains unclear whether Meng’s arrest, done at the request of the U.S., is connected with her position as Huawei’s chief financial officer, it bodes poorly for the company as the U.S. has come down hard in the past on Chinese firms that violate its sanctions, particularly against Iran. In April, Washington determined that ZTE Corp., Huawei’s smaller hometown rival, had violated an agreement that had punished it for selling American-made products to Iran. 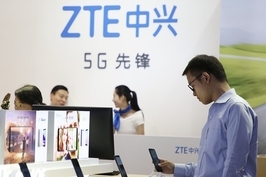 Washington then cut off ZTE from U.S. suppliers, forcing the company to suspend most operations for two months before the two sides reached a new deal to lift the ban. From February 2008 to April 2009, Meng served on the board of Skycom Tech Co. Ltd., a Hong Kong-based company with close ties to Huawei, the company founded by her father Ren Zhengfei, according to a Reuters report in 2013. In late 2010, Skycom’s office in Tehran offered to sell at least 1.3 million euros ($1.5 million) worth of Hewlett-Packard computer equipment to Mobile Telecommunication Co. of Iran, in violation of U.S. trade sanctions. At least 13 pages of the proposal were marked “Huawei confidential” and carried Huawei’s logo, the report said. The deal didn’t go through. There isn’t much public information available about the Ren. The 76-year-old is an ex-People’s Liberation Army officer and an elected member of the 12th National Congress of the Communist Party of China. Born in a rural family in the southern province of Guizhou, Ren founded Huawei in 1987 after retiring from the military. The company is now the world’s largest manufacturer of telecommunications network equipment, but has run into trouble selling its products in parts of Europe and the U.S. due to his ties to the Communist Party and military. Meng, 46, inherited her surname from her mother, Meng Jun — Ren’s first wife who also bore him a second child, a boy named Meng Ping. Both children opted to use their mother’s surname to avoid drawing attention to themselves — a common practice for the children of tycoon, according to Chinese media. Ren later took a second wife, Yao Ling, who gave birth to a third child, Annabel Yao. The 21-year-old currently studies computer sciences at Harvard. Meng Wanzhou holds a master’s degree from Huazhong University of Science and Technology in Central China’s Hubei province. She joined Huawei in 1993. 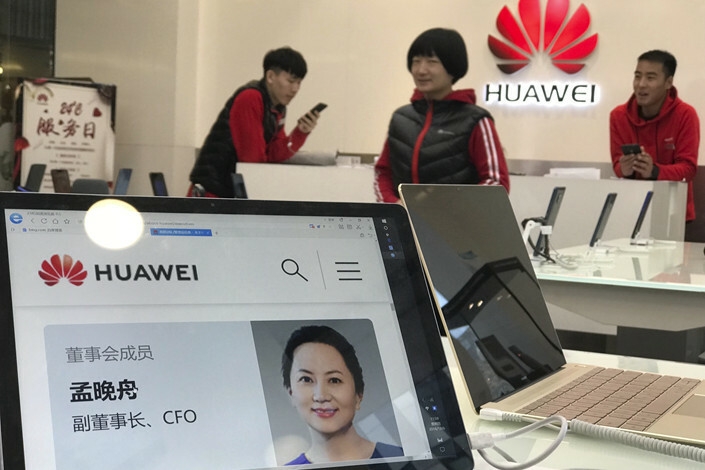 Since then, she has held positions as director of the international accounting department, chief financial officer of Huawei Hong Kong, and president of the accounting management department, according to Huawei’s corporate website. The site lists her English name as Sabrina, though Reuters and the The New York Times have reported her first name is Cathy. Since 2005, Meng has been in charge of the establishment of five shared service centers around the world, and she also advanced the completion of a global payment center in Shenzhen, where Huawei is headquartered. 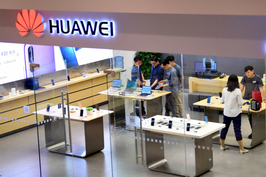 These centers “have boosted Huawei’s accounting efficiency and monitoring quality, providing accounting services to sustain the company’s rapid overseas expansion,” according to the website. In March, Meng was made Huawei’s deputy chairwoman and chief financial officer, in a move that caused many to speculate that she was being groomed to succeed her father. 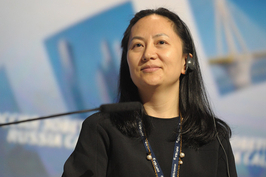 Local media reports said she also serves on the board of 11 other Huawei affiliates. Ren has said many times that he would not pass the reins of Huawei to his children. In an interview with Caixin in 2015, he said the company has been transitioning to a team of professional managers, and that he wasn’t involved in the decision-making process anymore. Meng Wanzhou, also daughter of telecom giant’s founder Ren Zhengfei, detained in Canada at request of U.S.